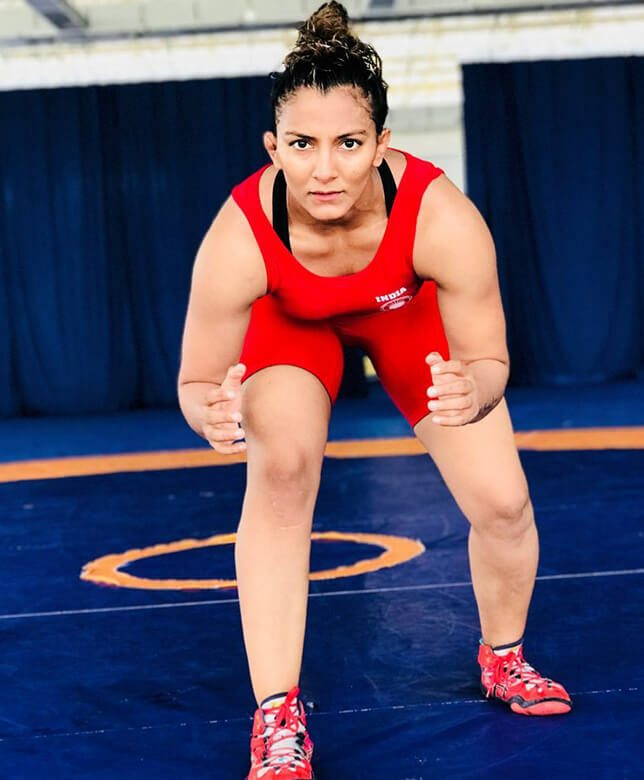 Geeta, a young girl from a regular household in Haryana, went on to become a wrestler, busting many myths of the patriarchal society she lives in. Her father, a wrester himself, was determined to train his daughter, and thus was born a sports star, who went on to break many records. Her talks are focused on shattering stereotypes and following your passion by crushing all opposition. Geeta became a household name and an inspiration for many like her when her biopic, Dangal became a blockbuster. She is the first Indian female wrestler to have qualified for the Olympic Summer Games. But she shot to fame in 2010 when she won India’s first ever gold medal in the Commonwealth Games. She won the medal in women’s wrestling in the 55-kilogram category while the entire nation waited with baited breath. Coached by her father, Mahavir Singh, Geeta has also trained under O.P. Yadav and Ryan Dobo when she qualified for the 2012 London Olympics. Her ride to success and fame hasn’t been smooth. With sheer grit and determination, she has overcome various hardships and obstacles to chalk out her path and win many accolades. Among her numerous other medals are the golds in Commonwealth Wrestling Championship and Wrestling FILA Asian Olympic Qualification Tournament as well as the silver in the 2013 Commonwealth Wrestling Championship. She also has a couple of bronze medals under her belt. Geeta won the prestigious Arjuna Award in 2012 for wrestling.